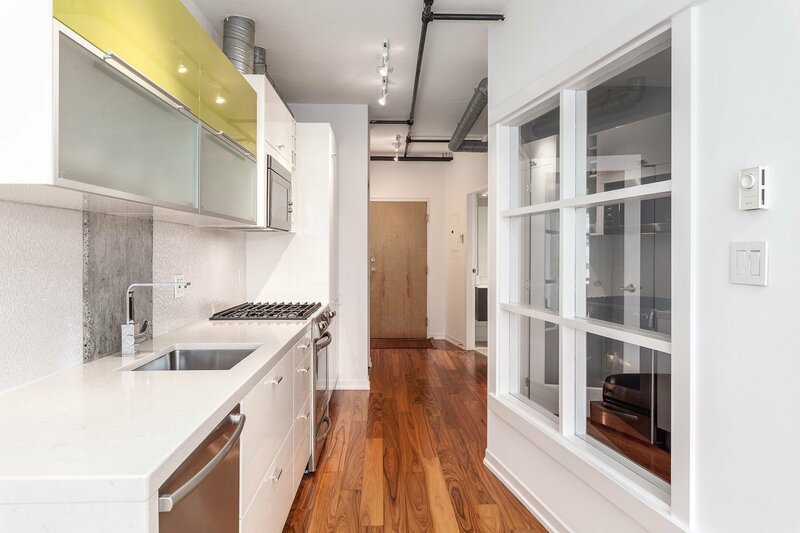 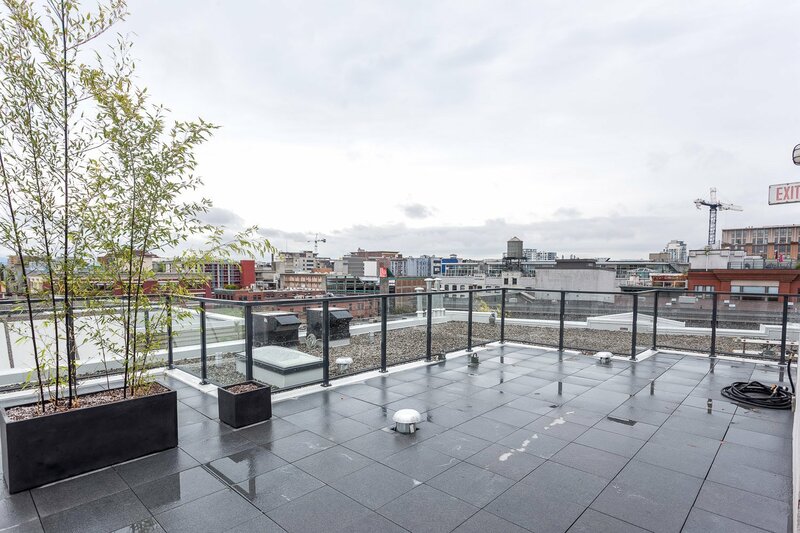 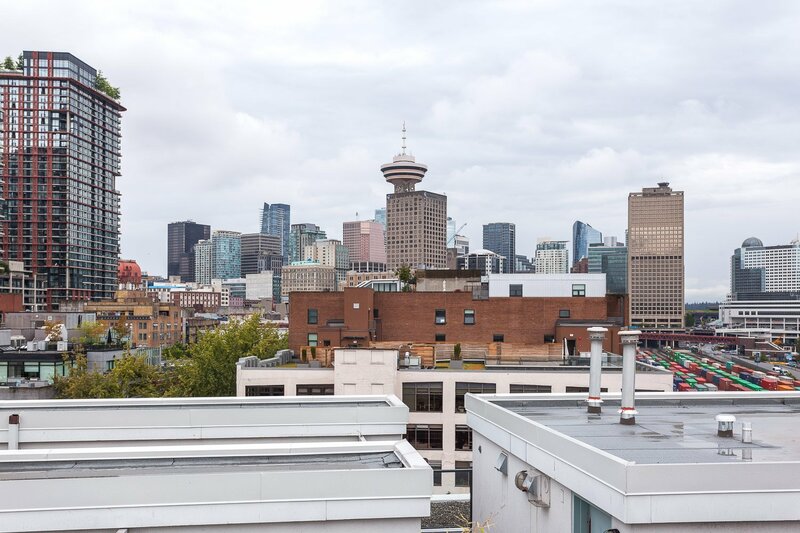 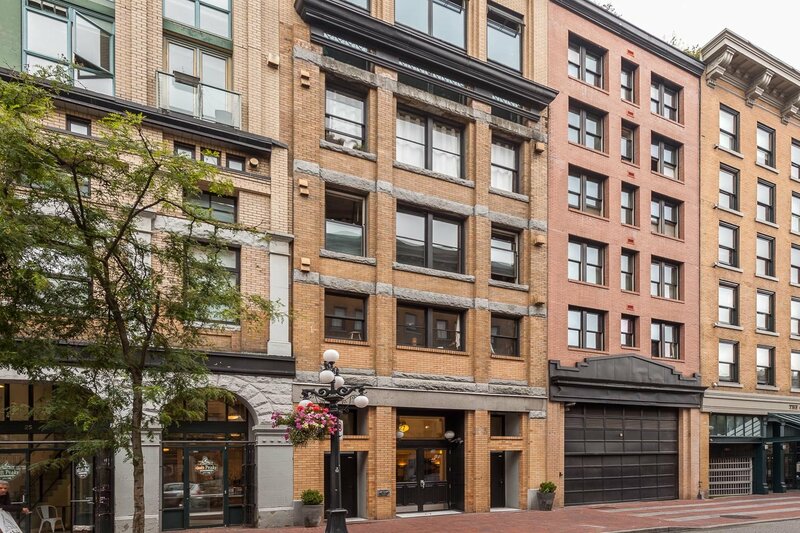 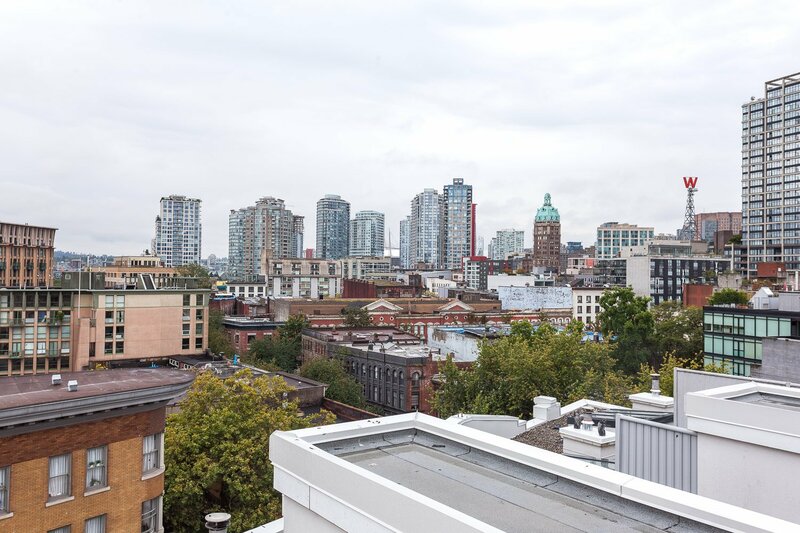 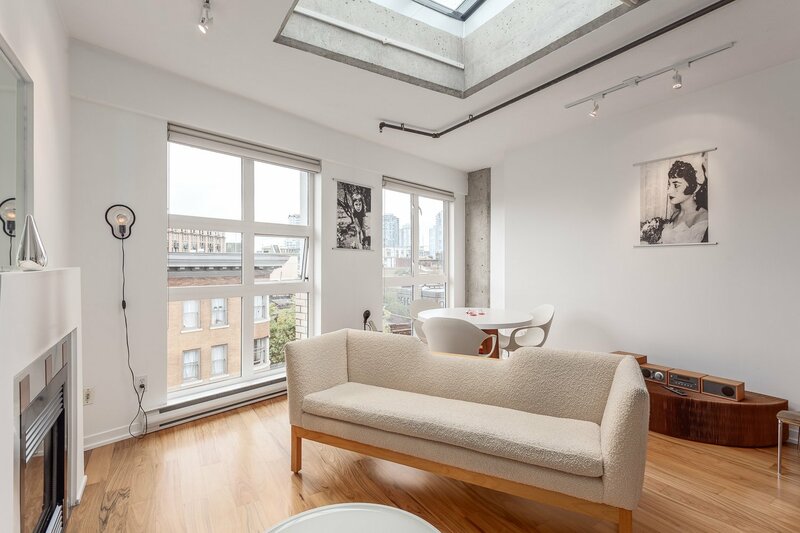 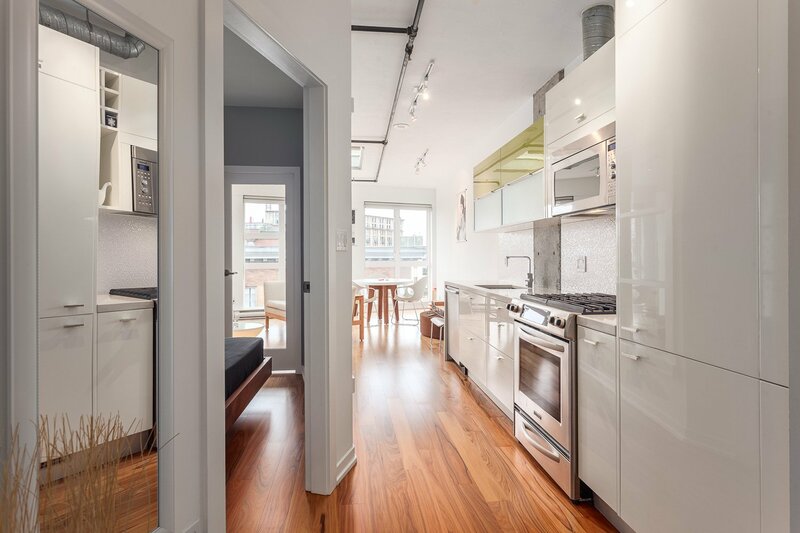 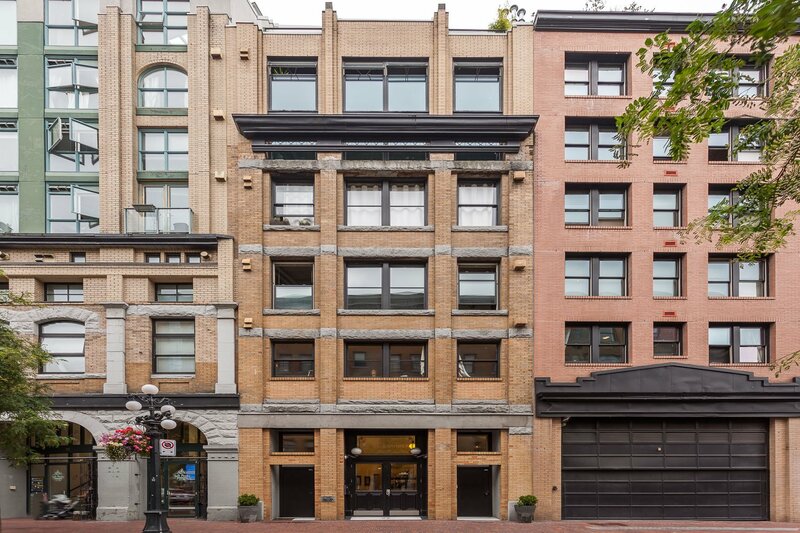 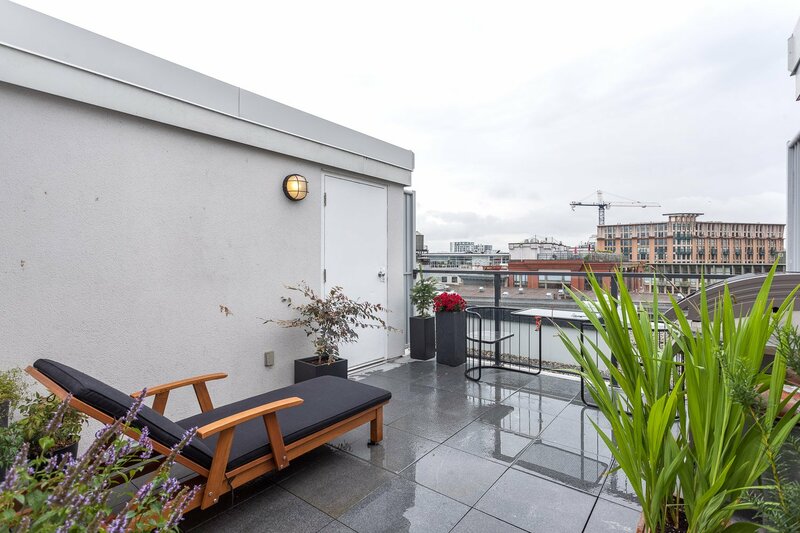 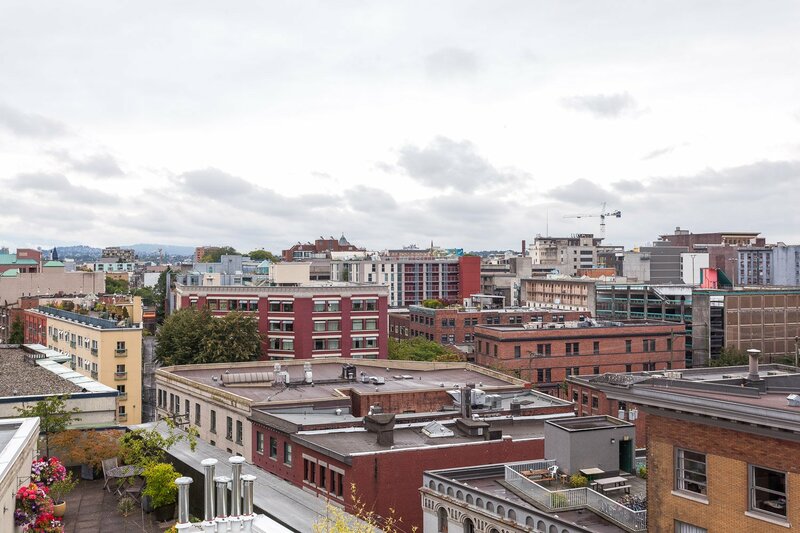 Fully updated Gastown Penthouse. 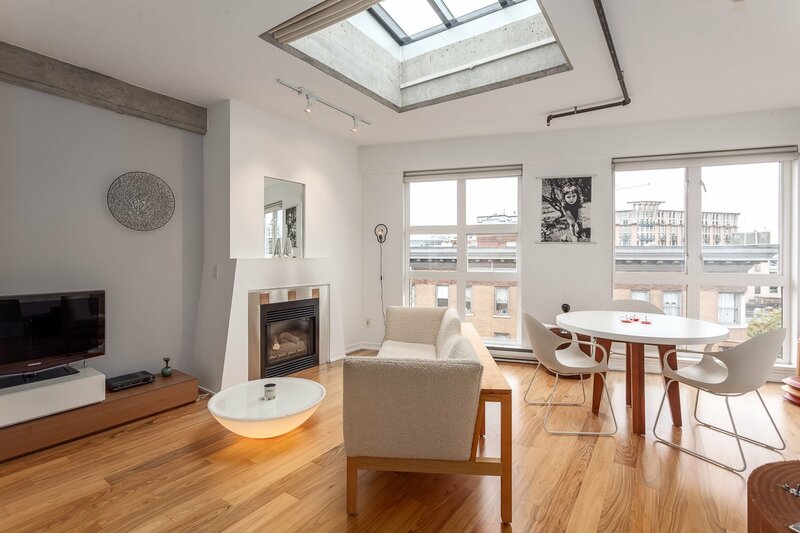 Top floor suite features: bright living area with large skylight, open concept kitchen, gas fireplace, and a private sunny South facing 162 sq.ft. 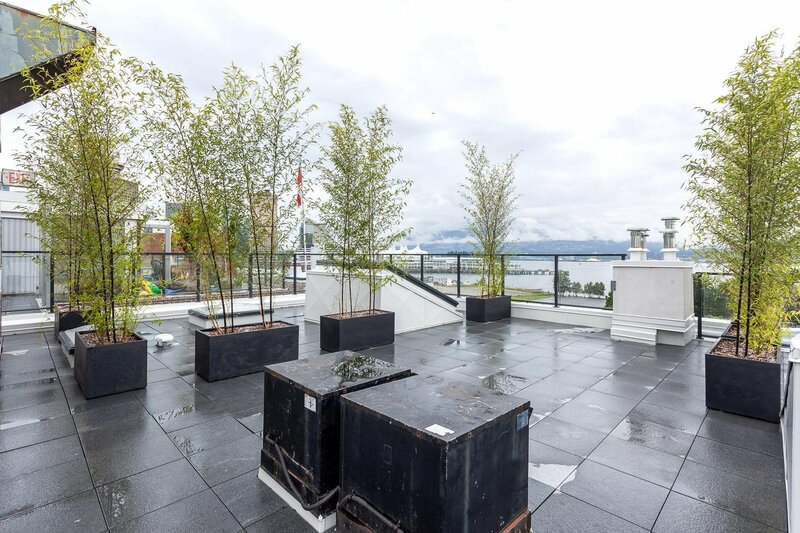 rooftop patio with views over the city. 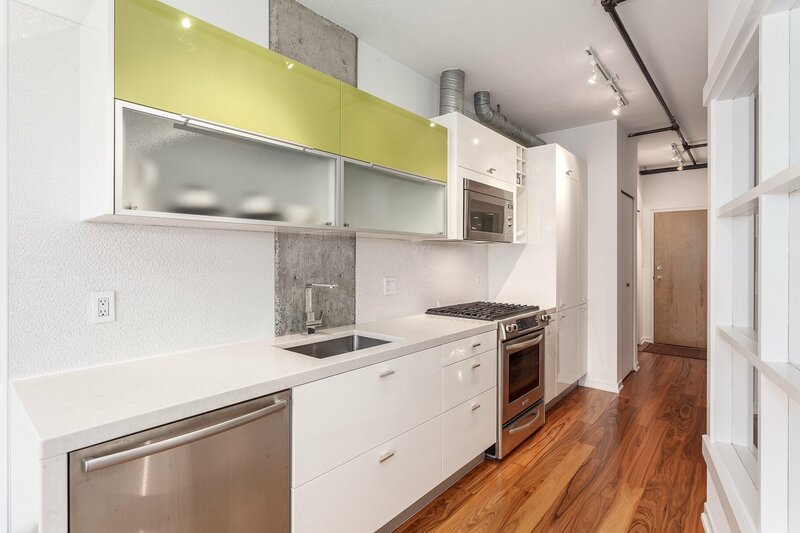 Custom kitchen by Gamadecor of Spain with integrated Liebherr fridge, Bosch & Kitchen-Aid appliances, Italian tiles, high-end fixtures, and beautiful contemporary materials. 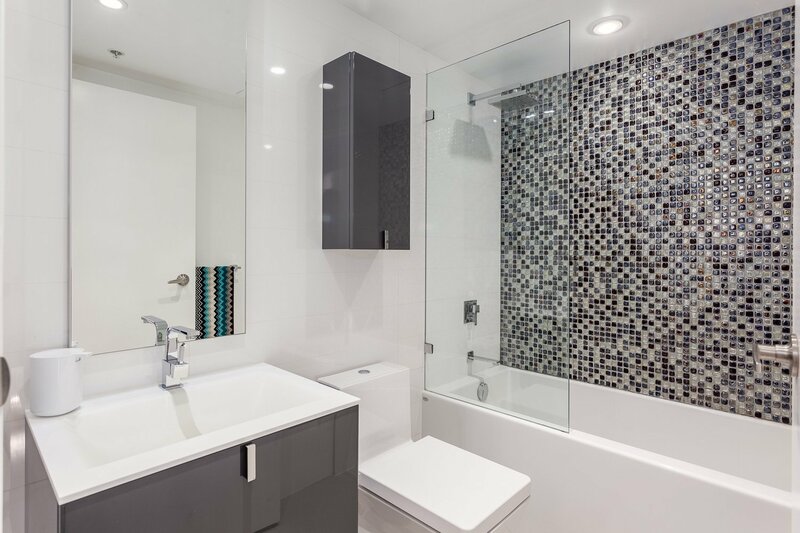 Clean lines throughout this contemporary home; Italian bathroom with beautiful fixtures and minimalist modern cabinetry. 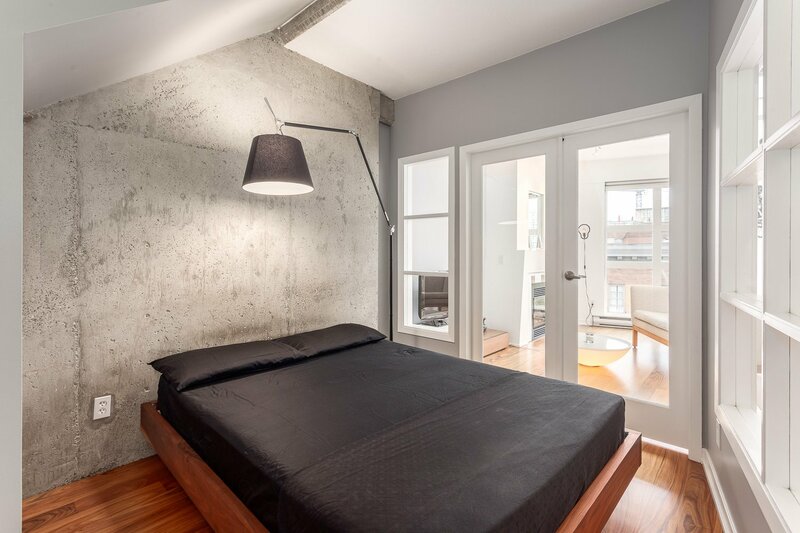 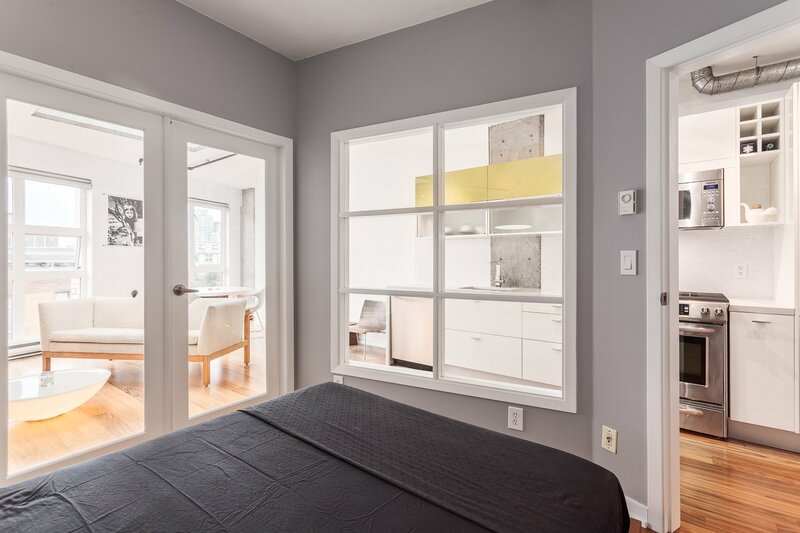 Exposed concrete feature walls, and engineered Palisander hardwood flooring throughout. 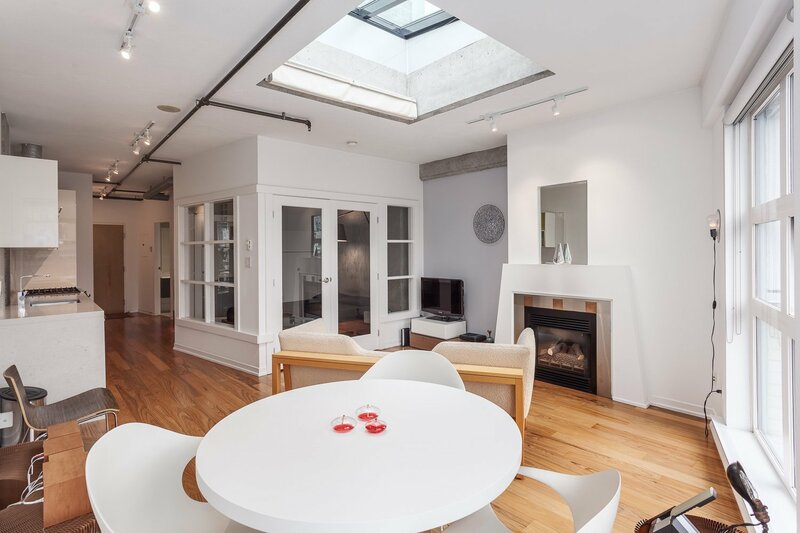 Custom lighting and large widows in the living area. 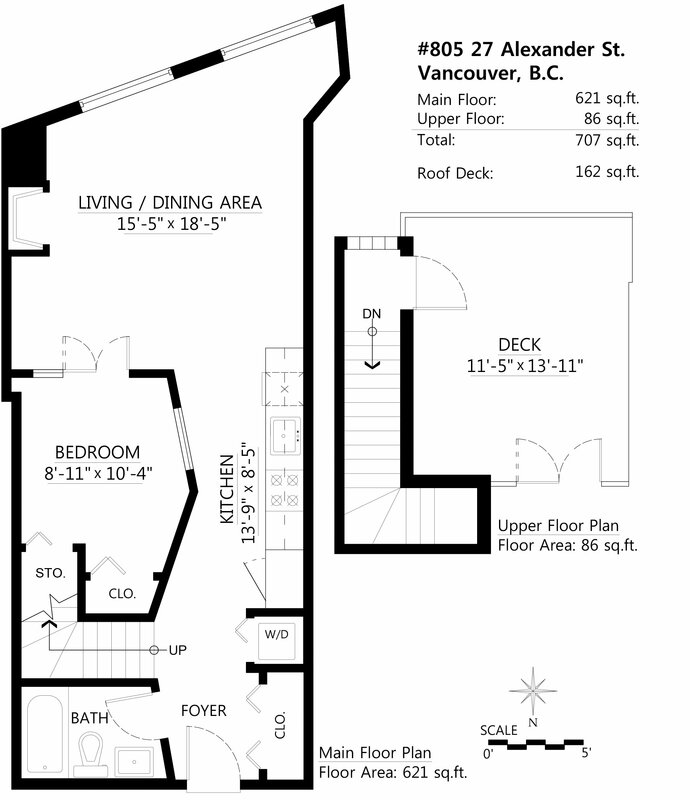 Large sized underground parking stall included. 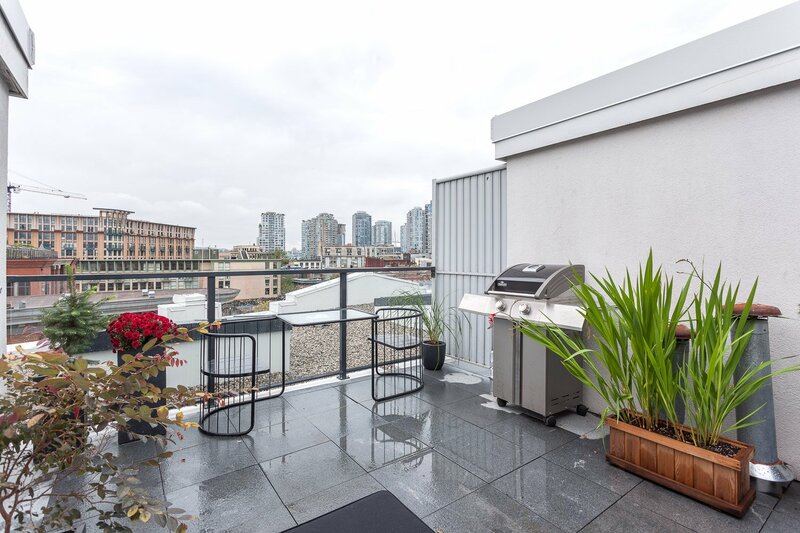 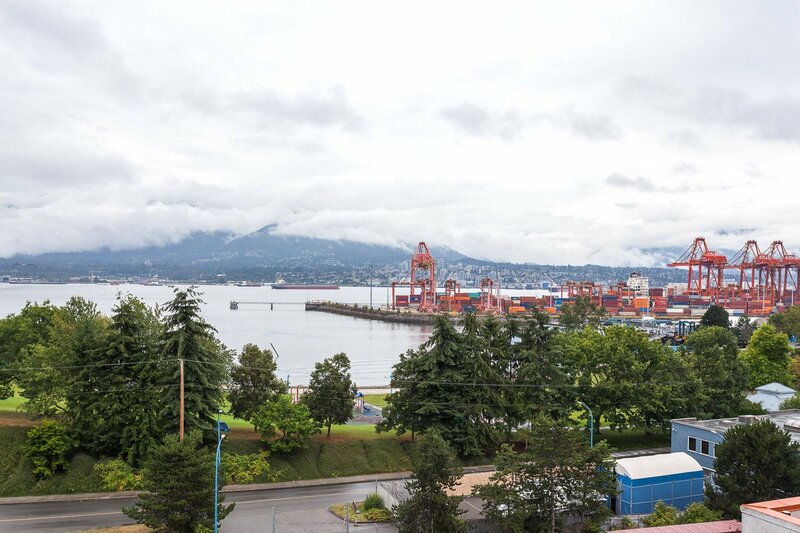 Well maintained building with large common rooftop patio which has recently been renovated. 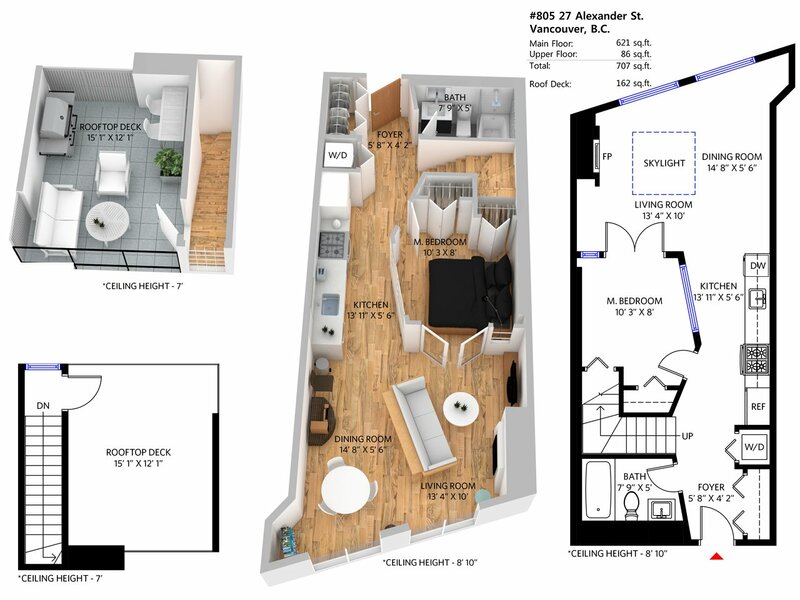 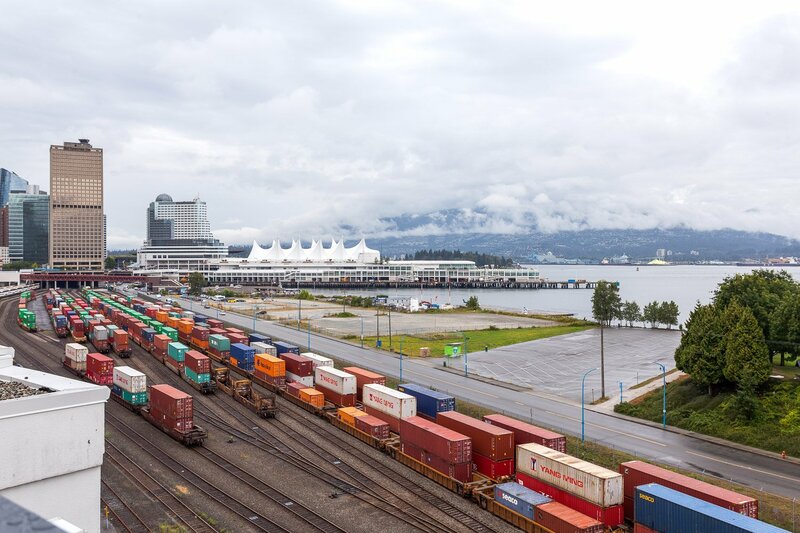 Located on a picturesque strip of Alexander Street. 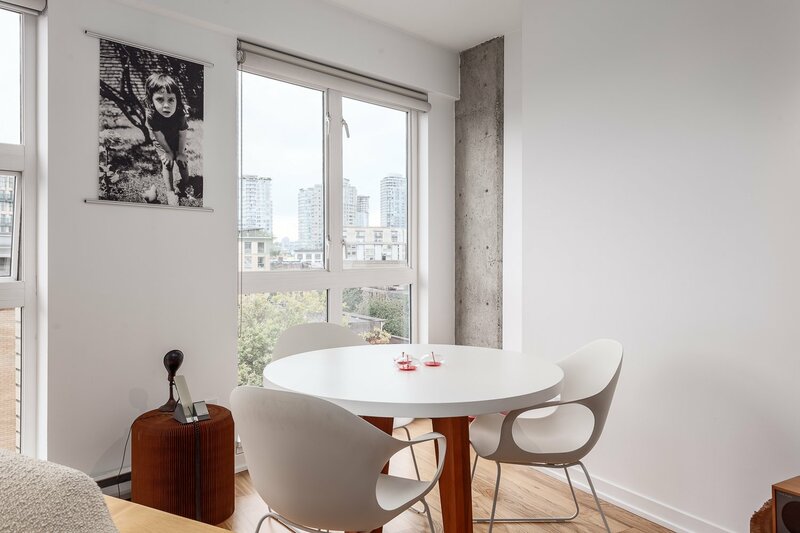 Rentals and Pets permitted. 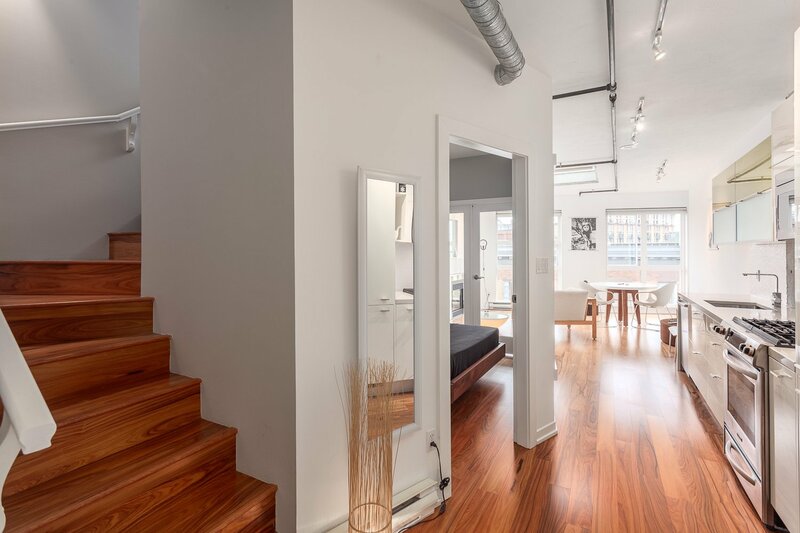 A unique residence designed for the design savvy buyer.